The average woman doesn’t have an endless supply of time. She doesn’t neccesarily want to spend countless hours searching through blogs, articles, books, magazines and more, in the search for healthy and effective hair advice. I’ve therefore created this blog as a one-stop shop for curly hair advice that works! 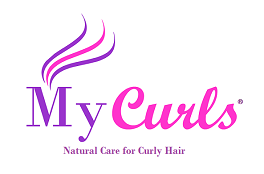 My Curls is a natural hair range for individuals with naturally curly hair. Our curly hair products are made with premium natural & organic ingredients such as sunflower, honey and olive oil. At the heart of our company lies the belief that natural hair is beautiful, just as it is. We aim to encourage and promote natural beauty and to provide great informational resources to help educate curly girls and guys about naturally curly hair. For more free hair tips and resources visit My Curls. To stay updated on the latest hair advice and special offers, it’s definitely worth joining our mailing list (it’s free). You can also chat with us & ask us questions about your hair by following us on Twitter and Facebook. So excited to share this site with my sister in law who has the most beautiful curls ever!!!!! Thanks for stopping by my blog! Best wishes!